Crooked Nose is asymmetric nose typically characterized by deviation of the bony upper third and/or the cartilaginous lower two thirds of the nose. Deviation is often sinusoid in nature and the tip may or may not be in midline (S-shaped crooked nose deformity). Crooked Nose structural problems often contribute to nose functional problems like nasal obstruction and also complicate optimal surgical management. Correction of the crooked nose poses one of the greatest challenges in Septorhinoplasty. The rhinoplasty surgeon must take care of correction of contour deformities as well as the nasal obstruction. This is where ENT surgeon who specialises in Rhinoplasty comes into picture. An ENT surgeon can work completely on any type of nose deformity and gives you the best outcome possible both for cosmetic correction and functional correction. Rhinoplasty surgeon plan surgical correction of the crooked nose after accurate diagnosis, taking into consideration of balance, proportion, symmetry and correction of nasal function. 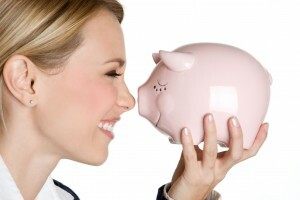 What are causes of crooked nose? Fractured nasal bones due to trauma of accidents or birth trauma are the leading cause of an asymmetric nose. These patients frequently experience progressive nasal obstruction as offending trauma leads to both septal deviation and disruption of traditional nasal support mechanisms with that internal and external nasal valve collapse may result. Diseases of the septum and internal nose like autoimmune or immunologic diseases which are classic examples of disorders resulting in septal injury. Postsurgical rhinoplasty, clients initially pleased with their new appearance with results of rhinoplasty, years later, as the forces of healing begin to manifest, they may become disappointed. 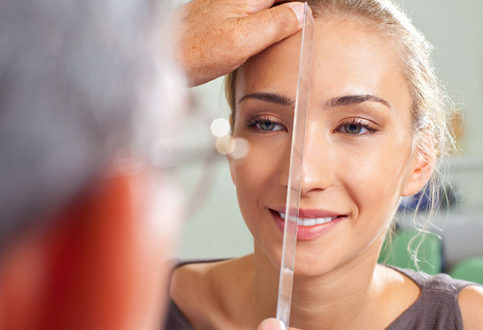 Rhinoplasty is a complex surgical procedure frequently results in loss of structural support and a weakened nose. 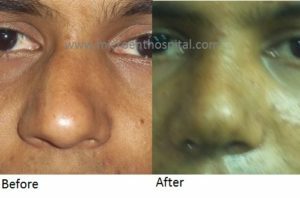 Over years with combination of scarring, gravity and aging pulls the nose in different directions and can result in nasal collapse and deviation.Microcare Rhinoplasty Centre Offers Best Crooked Nose Correction in Hyderabad. 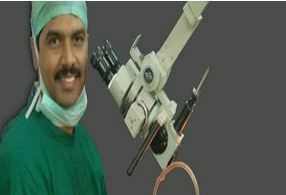 Contact Micro Care Rhinoplasty Clinic for Crooked Nose Correction in Hyderabad.